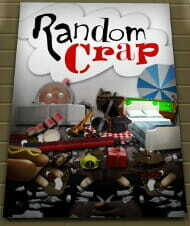 When Is Random Really Random..? When you’re playing the lottery random matters. Because you want to know that you have a fair chance of winning. There are an awful lot of people however who don’t believe the lottery is really random, and that they can ‘get an edge’ by analysing results and trying to predict what comes next. Actual proof is about as rare as hen’s teeth… But it’s a fun hobby. So How Random Are Quick Picks? Random also matters when you want to buy your ticket, and decide to use a quick pick. It may not matter quite as much as the draw results being random, but you don’t really want to buy a quick pick if it means hundreds of other people all end up with the same numbers as you. Because that would mean you’ll be sharing your jackpot with all of them! So the lottery company engineers and maths-types go to great lengths to make sure that your lottery terminal spits out some proper random selections. Because being fair is vital to all lottery companies – it determines how much we trust them, and whether or not we buy a ticket! They don’t tell us exactly how their specific machines work, but there is a lot more involved than you might think (you can read up on random number generation here). It’s common to use atmospheric noise or radioactive decay to help ensure random stays random. I’m writing to you because I feel as though there is fraud/corruption in regard to practices at the Indiana lottery commission. I’m a disabled Veteran, I’m 54 and in college using my Chapter 31 benefits because of a service connected ptsd/major depression diagnosis and my only income is the stipend I get from the VA.
Last week I bought a quick pick powerball because of the high jackpot (I know it’s a suckers bet but it’s only $2 and someone is going to win), and the numbers generated seem to be to be anything but random, yet the lottery official I have been in contact with, Katie Carlson, is trying to tell me that it is. The numbers were 04 05 06 07 08 and 10 as the powerball. Numbers that no one in their right minds would choose. It seems to me that it skipped the 9 when choosing the powerball number and so these numbers follow in perfect succession and as likely to win as it would be to find Jimmy Hoffa’s body on the moon. This suggests to me that the game is rigged as a “random” number generator is highly unlikely to choose successive numbers as they appear on my losing ticket and it suggests to me that human intervention generated what I ended up getting. It also seems to me that this kind of thing may have been done for no other reason than to pump up the jackpot to get more people to play. Granted, chances are I would have won nothing, but then I could have won $5, or $50, or $500, or maybe even the jackpot, but as it is I feel like my $2 was stolen for the sole purposes of pumping up the $$$ to get more people to play. I turned down their offer of free coupons for further plays as there is a principle here. I feel I was purposefully cheated out of my chance to win something, even though the odds are decidedly against me, but it’s still a chance, which is something I did not receive by these anything but “random” numbers as the odds of a “randomizer” choosing successive numbers are likely greater odds than actually winning the jackpot. Therefore I would ask that if there is anyone you can contact for me that can contact me and who could look into this for me I would be greatly appreciative, as would any other unsuspecting Americans that might throw their money away on a chance that isn’t a chance at all. I feel this constitutes fraud and I would like to yelp my concerns to the highest office available where this is concerned. It’s a long question, but basically it boils down to “the quick pick machine gave me a mostly sequential set of numbers, how can that be right?”. And the short answer is – why wouldn’t it be right. For the longer explanation you need to ask yourself what random looks like. Is it impossible for the quick pick software to output the numbers 1, 2, 3, 4, 5 and a 6 as the Powerball? Random is of course supposed to mean that any combination is possible. Obviously you can’t get A, B, C, D and E out of the machine – because they aren’t part of the pool of numbers. But 1, 2, 3, 4 and 5 are. So if that set of numbers (or any other) could NOT be generated, then surely that would mean there was something wrong with the number generator. It would be like a loaded dice that would never roll a 6. Now some peoples intuition can’t help screaming here about how a combination like this would be highly unlikely. But the fact is, every combination is highly unlikely. Because there are 175,223,510 of them (and yes, that is more than 175 million different possible results for the US Powerball). Which means there is a 1-in-175,223,510 chance of 1, 2, 3, 4, 5 and Powerball 6 being selected. But there is also a 1-in-175,223,510 chance of 13 , 19 , 23, 33, 57 and Powerball 28 coming out too. The fact is, they are just as ‘highly unlikely’ as each other, or as any other combination. So why does one result look ‘more random’ than the other? Simply because our brains like patterns. We’re programmed to see them. It made the news when Florida picked all consecutive lottery numbers back in 2011. And when there were repeat lottery numbers in one lottery game back in 2009. But there is no pattern as far as the lottery machine is concerned – they are just 5 or 6 differently numbered balls. Nothing more. They didn’t even necessarily get picked in that order – because the numbers are sorted numerically before they are printed, to make it easy to check the results. In Conclusion – Or, It’s Not Rigged! So in conclusion and back to the question. This does NOT prove that the game is rigged. And in actual fact, it should reassure you that the quick pick’er is working perfectly normally – because it CAN pick combinations such as the one it gave you. The lottery company were absolutely right to tell you that the numbers you received were totally random, and that there is no cause for concern. If the internet were ablaze with players all saying they received the same quick pick combinations, then you’d have cause to worry. But it isn’t, and you really don’t. The Powerball folks really don’t need to fix the game. They make plenty of money by operating a perfectly fair and legal draw, regardless of when the jackpot is won. The odds are so tough that it rolls over most draws simply because there are so many more possible results than tickets sold. So random can really be truly random, even when it doesn’t look like it. Have you ever received a completely sequential quick pick ticket? Or one with any other pattern? Do you pick numbers like this or try to avoid them? Let us know in the comments below. There is one way to prove if the Powerball and Mega Millions is rigged. Lottery players need to form an independent website where players can fact check their Powerball and Mega Millions tickets in the database. But Eddie Tipton isn’t “the government”, he’s a convicted criminal who got caught stealing for his own personal benefit. I highly advise all lottery players, REMEMBER FORMER CHEATING LOTTERY OFFICIAL EDDIE TIPTON AND HOW HE PROGRAMMED LOTTERY DRAWS TO PICK HIS OWN NUMBERS. The lottery knows beforehand who is going to win, when they’re going to win it, and how much they’ll win. Just take a look at the winning patterns on USAMega… Last year New York won both the Powerball and Mega Millions in the same month. I challenge you to look back to 2013 and see how many times Florida, New York, and California have won major jackpots. Pick your own numbers and never spend more than $3 per purchase. Don’t let the lottery take away your hard earned money just to increase jackpots. On the majority of Mega and Fantasy tickets I buy, if spending $2 or more (usually $5) I see the same mega number picked on at least 2 lines out of 5, and the same fantasy number on the same 2 or 3 lines out of 5. What are the odds of this? Seems to be manipulation to randomly decrease your odds at winning and multiply this over thousands of buys and boom, no winners that night and the pot gets bigger.